Custom Edge Banners are designed to drive up your company's presence and brand identity in large tradeshows and other crowded events. Designed to withstand moderate weather conditions, edge banners look great indoors and can even be used as portable advertisements. 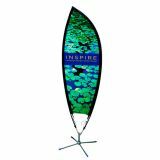 The unique leaf shaped banner will never fail to grab the attention of the attendees. Light weight and easy to transport, these banners ensure the best value for your money. These can be used along the edges of the event path way or the parking lot to grab the attention of the visitors. Shop from our collection of Personalized Edge Banners and avail the best prices, quick shipping and much more! 100% customer satisfaction guaranteed! CLICK HERE for Edge Banner Hardware. Make your tradeshow booth stand out and colourful from those of other vendors with these Custom Edge Banners. 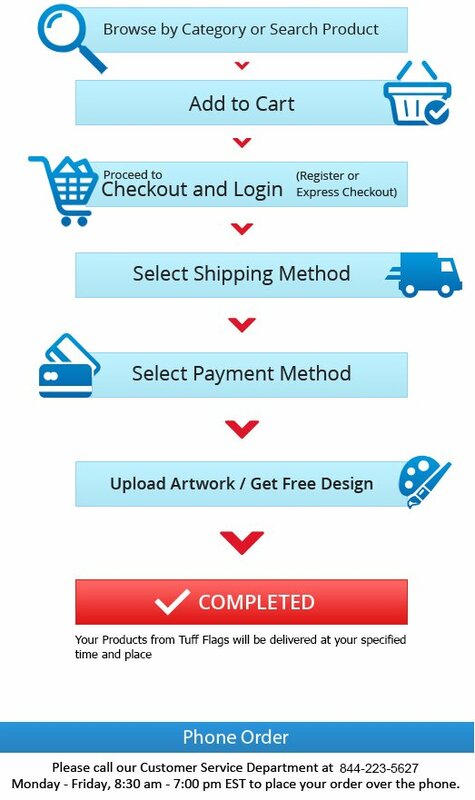 Available in a palette of brilliant colors, these can be customized with your brand,artwork and messageto make these exquisite masterpieces that will never fail to impress. Steal the limelight with these impressive banners that will give you ample space to get your thoughts out and to strike up a rapport with the audience. These made in USA banners feature Jet Flag material that are digitally imprinted Single Face Reverse with high resolution 600 DPI imprints. These banners can be used with our Edge Poles that are specially designed for The Edge Banners. The banners rotate on center axis of the pole that will make your message more readable and eye catching. The free swinging action of these banners will make it a crowd magnet and will stir up the attention of the audience easily. The unique tapering design will prevent the annoying flapping sound. These banners can be fixed onsand, grass or on pavements without making the banner fall. The portability of these banners make it a favorite accessory for companies that attend large tradeshows or exhibitions on a regular basis. People will fall in love at first sight with these elegantly crafted Custom Edge Banners, which will make delightful accessories and props for business events. You can shop from a wide range of edge banners from Tuff Flags. 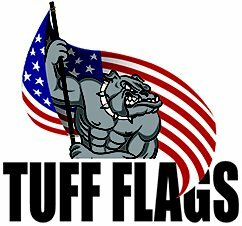 If you find the selection process a tad tricky from the different models on offer, call us at our toll free number (888) 872-3524 or email us at customercare@tuffflags.com and our team will be happy to be of assistance to you.